CUBA STANDARD — Miami-based Island Travel & Tours Ltd. said it is offering a special charter flight from Baltimore, near Washington, for participants in the opening ceremony Aug. 14 of the U.S. embassy in Havana led by Secretary of State John Kerry. The flight from BWI Thurgood Marshall Airport will leave Aug. 12. The flight for dignitaries, government officials, media members, and a “limited number” of “private individuals”, according to Island Travel & Tours, will be on a Boeing 737-300 operated by Swift Air. 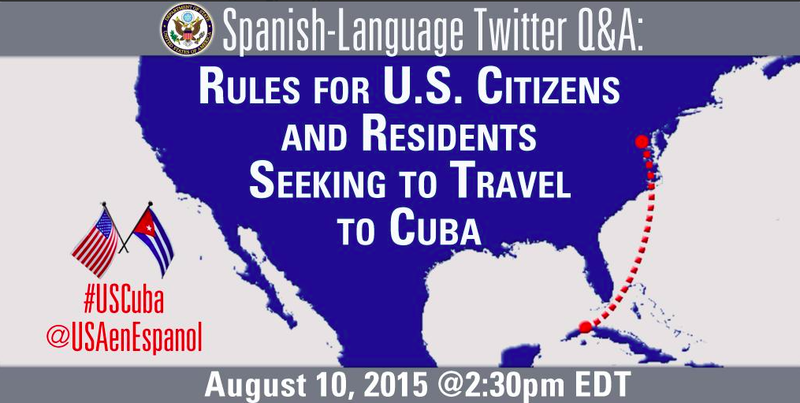 Meanwhile, in another sign of the Obama Administration’s active support for travel and trade with Cuba, the U.S. Department of State announced it will host a Twitter information session on Aug. 10 regarding U.S. rules for travel to Cuba. 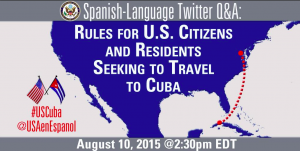 This comes after an information session on July 29 by the Small Business Administration for businesses seeking exports to Cuba. This entry was posted on Friday, August 7th, 2015 at 12:03 pm	and is filed under Companies. You can follow any responses to this entry through the RSS 2.0 feed. Both comments and pings are currently closed.